The HR-US investigation (Fig. 1) was performed by an experienced oral and maxillofacial surgeon with the transducer overlying the zygomatic arch in a vertical position with the mouth closed and at maximum mouth opening. The position of the disc was detected in the closed mouth position. The patient was then asked to open his mouth to the maximum mouth opening position when the position of the disc was detected again. The HR-US investigation was performed regarding the following criteria: destructive changes (Fig. 2); effusion; disc dislocation (Fig. 3) at closed mouth and maximum mouth opening positions; and disc dislocation with reduction (disc dislocation in closed mouth position and no disc dislocation in maximum mouth opening position). 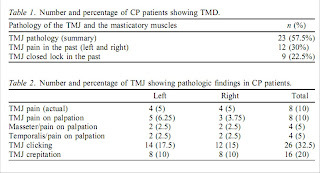 Temporomandibular disease (TMD) in chronic polyarthritis (CP) patients is reported in the literature with a variation of 5–90%, depending on the investigated parameters. The imaging diagnosis of TMD is difﬁcult because panoramic radiographs show TMD only in a late stage, whilst intervention is required at an early stage of the disease. MRI is still the gold standard in the diagnosis of TMD but availability and high costs do not allow the use of MRI as a screening method. 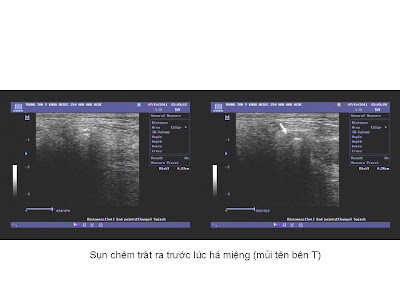 A clinical usable, cheap and widely available diagnostic imaging tool is essential to support the clinical diagnosis of TMD. 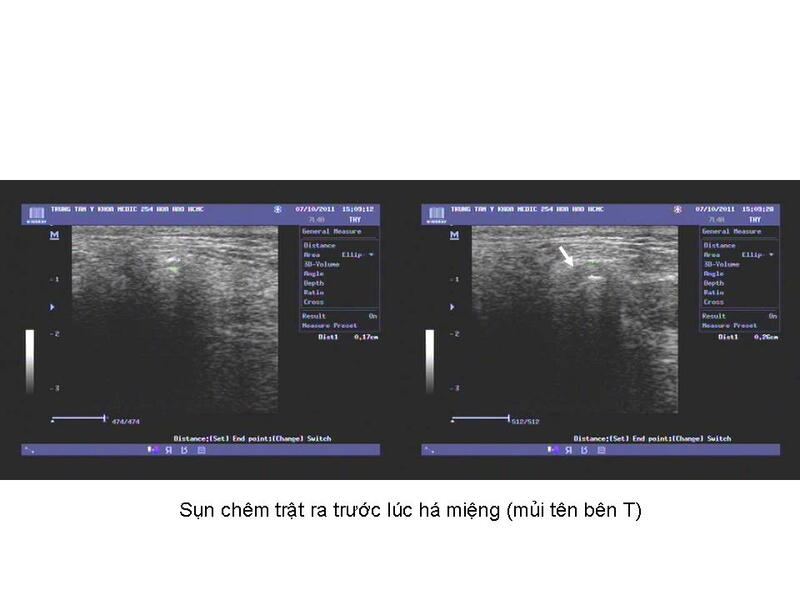 US investigation of the TMJ has been described as insufﬁcient using 7.5–10 MHz transducers. 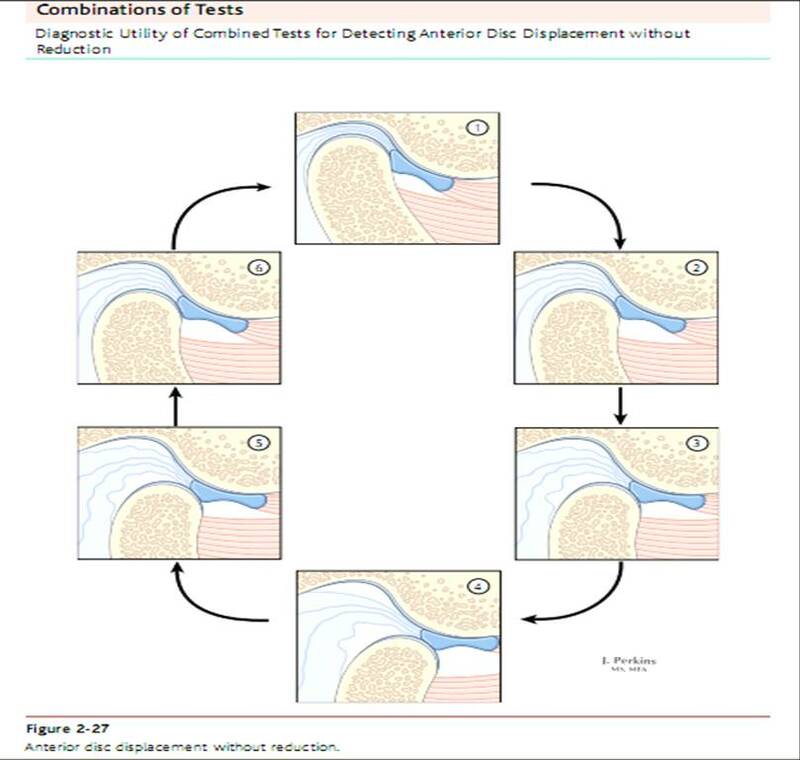 The development of HR transducers showed, that using these transducers, effusion, disc dislocation, and destructive changes could be detected with high sensitivity, speciﬁcity, diagnostic accuracy, and positive and negative predictive value compared with the current gold standard of MRI. The use of HR-US is a cheap and widely available alternative imaging method to MRI, especially for screening, because of its low cost. The technique is limited to specialized centres because of a long learning curve to achieve satisfactory diagnostic accuracy. 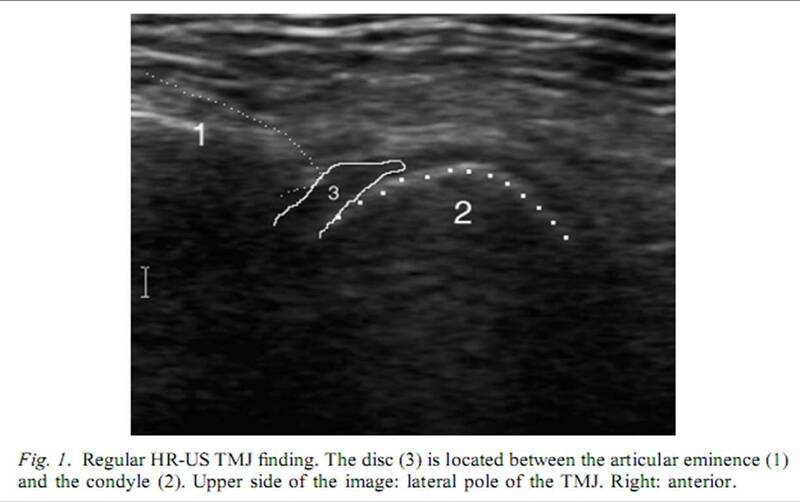 Referring to the diagnostic value of HR-US the authors waived a control group in the current study. 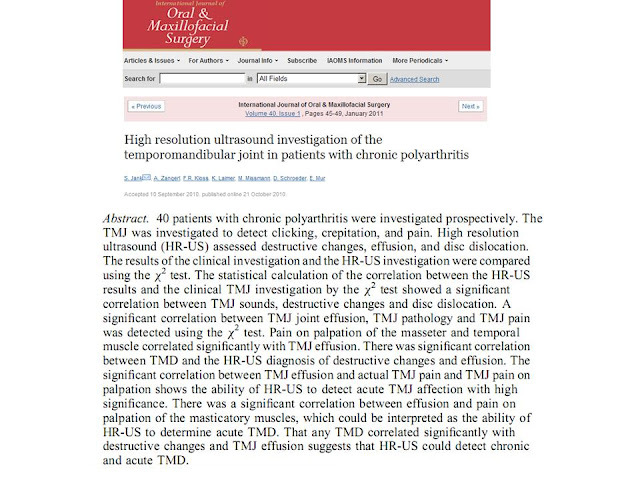 The aim of this study was to investigate, whether pathological HR-US ﬁndings correlate with pathological clinical ﬁndings such as clicking, crepitation, pain and closed lock. 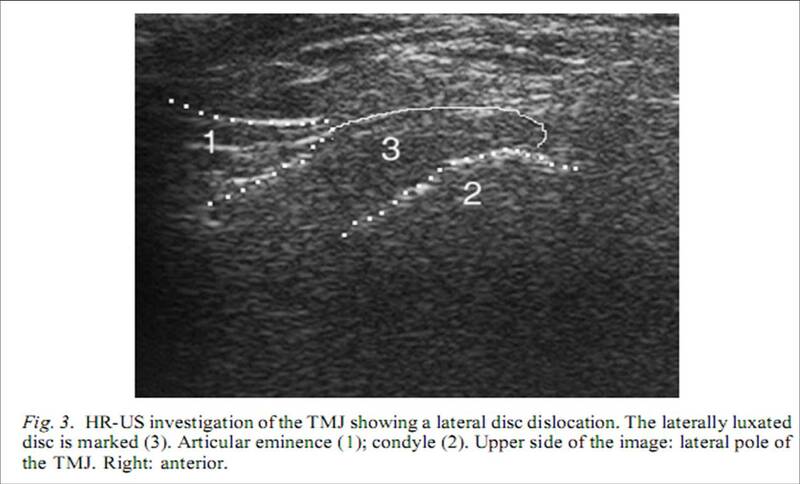 The use of these parameters in the current investigation seems to simplify the TMJ investigation, but these parameters were used because they can be detected easily by the rheumatologist during routine examination. 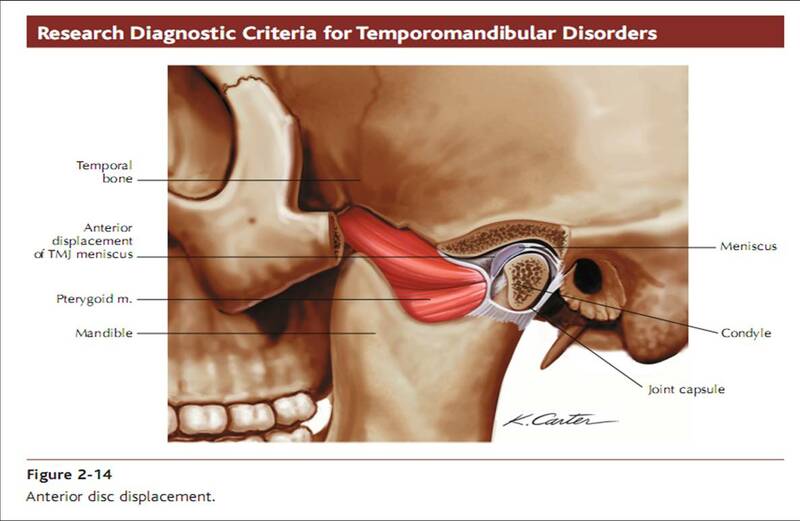 Regarding the clinical ﬁndings, 23 of 40 patients showed pathological changes of the TMJ. 9 patients (23%) reported a closed-lock in the past, which is one of the severest clinical ﬁndings. 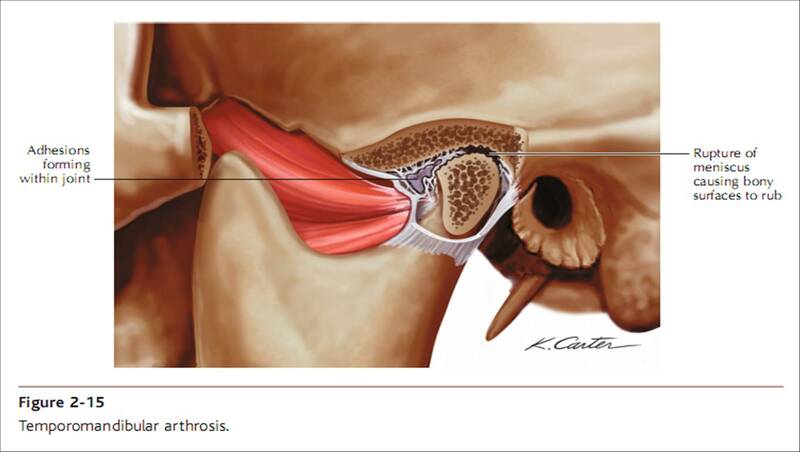 If the joints are observed separately, in 10% of patients, actual pain and pain on palpation was found. The highest percentage of TMJ pathology was found regarding the TMJ sounds, such as clicking and crepitation. The comparison of these results with previous studies shows that the cohort of patients investigated is representative. 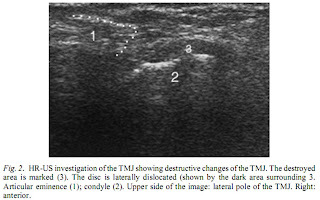 Compared with previous US investigation of TMJ in chronic polyarthritis, TMJ crepitation studies regarding the investigation of asymptomatic volunteers, HR-US investigation of the TMJ showed a much higher percentage of pathological ﬁndings. The HR-US investigation showed destructive changes in 34 patients (85%),which leads to a high number of cases of chronic TMD. As a result of chronic TMD, dislocated discs were diagnosed by HR-US with a maximum percentage of 40%. HR-US investigation showed TMJ effusion in 7 (18%) joints, which leads to the interpretation of acute TMD. 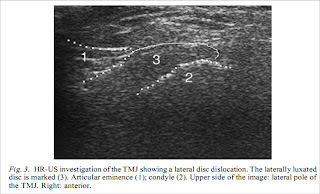 These results are conﬁrmed by the signiﬁcant correlation between effusion and pain on palpation of the masticatory muscles. 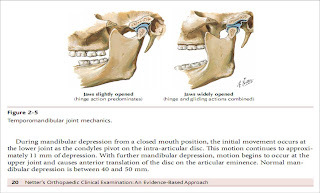 Regarding the statistical correlations between the HR-US investigation and the clinical ﬁndings of the TMD, a signiﬁcant correlation between TMJ sounds (clicking and crepitation) and destructive changes and disc dislocation in the closed and/or maximum mouth opening position was determined. 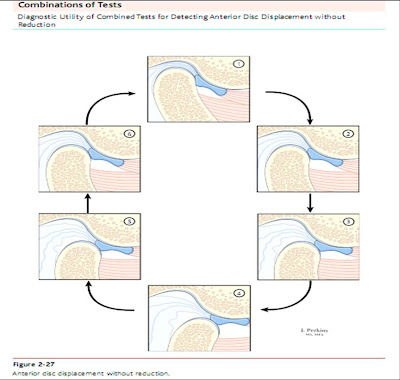 The correlation between any TMJ pathology (summarized) and destructive changes and TMJ effusion leads to the interpretation that HR-US could detect chronic and acute TMD. Further studies with larger cohorts of patients are required to conﬁrm the current results. 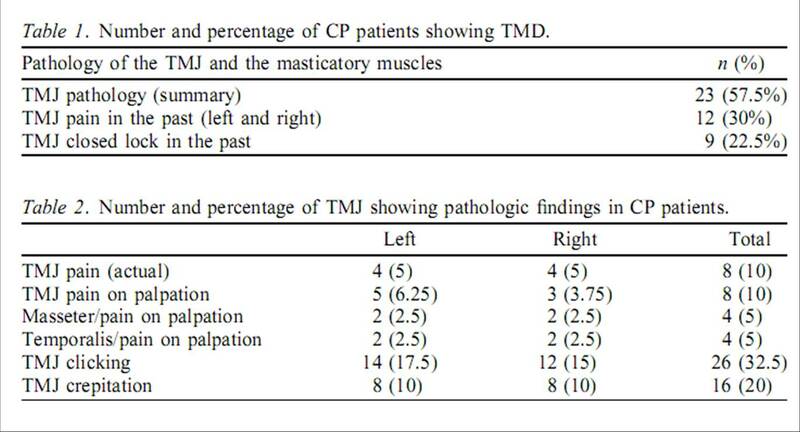 The results of the current study suggest that CP patients should be referred to a dentist and/or a TMJ specialist. 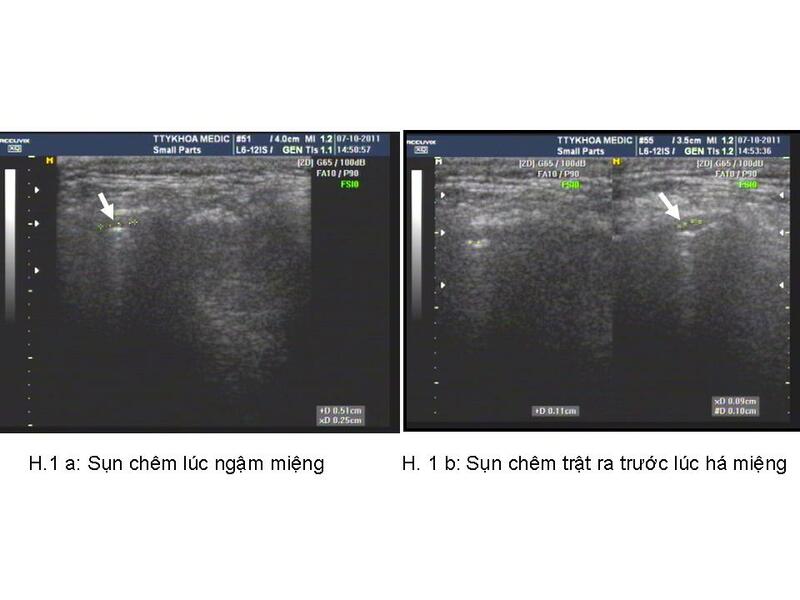 US is a well-known diagnostic imaging tool in rheumatology. 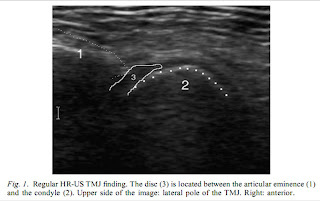 Even if HR-US of the TMJ requires a long learning curve, training in HR-US for rheumatologists and/or radiologists should be instituted so the method can become widely available as an imaging tool.